Paducah, KY, March 11, 2019—Two cities on different continents, Paducah, Kentucky, and Jingdezhen, China, share many cultural commonalities. These fellow UNESCO Creative Cities of Crafts and Folk Arts possess a passion for the development and enrichment of both ceramics and craft beer. Paducah Arts Alliance (PAA) is pleased to announce that the father/son duo Ma Mingkui (craft beer maker) and Ma Xinkai (ceramist) of Jingdezhen, China, are participating in a two-week Artists-in-Residence Program in Paducah, Kentucky beginning March 15, 2019. Tea Ware designed by Ma Xinkai. 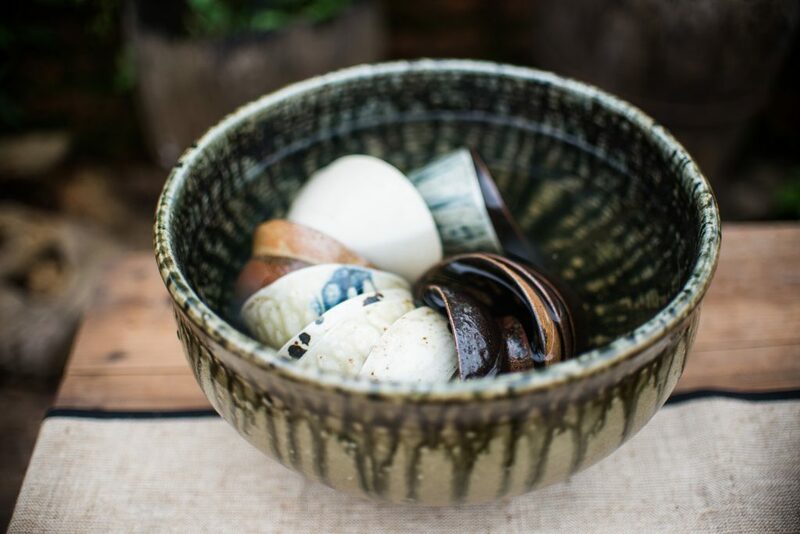 Ceramist Ma Xinkai’s relationship with Paducah began in June 2018, when art educator, and PAA chair Mitch Kimball attended The Pottery Workshop in Jingdezhen, a city famous for the mastery of white clay and home to the international ceramics center. Kimball’s China cohort Ma Xinkai graduated from Jingdezhen Ceramic University in 2014. Xinkai focuses on making Chinese tea ware in his design studio Shangjui. His father, Ma Mingkui, is a retired senior engineer who took up craft beer brewing as a hobby. “There are many international artists and people who work with art in Jingdezhen,” said Xinkai. “It is an excellent place to do something creative.” Xinkai’s parents moved to Jingdezhen and set up the city’s first craft beer pub in 2016. Now in its third year, their brand Southern Sloth brews nearly 30 kinds of craft beer. Southern Sloth won third prize in the First International Craft Beer Competition in China in 2018. “More people know about Southern Sloth, and we would like to share more about it with Paducah,” said Xinkai. Though Jingdezhen has been famous for the mastery of porcelain and white clay for over 2000 years, ceramics and breweries have only recently made a strong resurgence in Western Kentucky. The Paducah School of Art & Design’s ceramics lab at Madison Hall was completed in January 2013, offering classes and expanding the clay making opportunities for students across the region. Paducah’s first craft brewery, Dry Ground Brewing Company was established in 2014; and Paducah Beer Werks, the brainchild of homebrewer turned grain master Todd Blume, was founded in 2015. 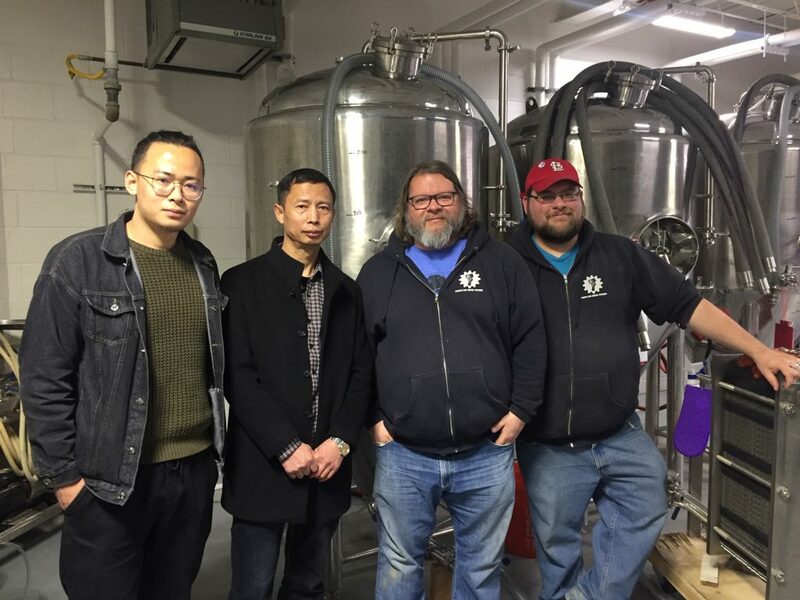 Ma Xinkai and Ma Mingkui, father/son duo from Jingdezhen, China, hang out with Todd Blume and company at Paducah Beer Werks. While in Paducah, the Jingdezhen artists will be building personal/professional relationships with craft brewers and ceramists. They will also be experiencing local artistic assets, attending business and cultural events and engaging with educators and students visiting Paducah from Three Rivers Educational Campus, UNESCO ASPnet School in Cleves, Ohio. To learn more about Paducah’s role as one of the world’s UNESCO Creative Cities and ongoing engagement with the Creative Cities Network, visit www.paducah.travel/creativecity.